The diet of the average American child still contains much more salt than is recommended, a new study finds. As kids’ preference for high sodium foods grows, so does their risk for developing heart problems later in life. In the study, researchers from the CDC found that nearly 90% of U.S. kids regularly consume more salt than is recommended for their age. According to the report, the biggest contributors to kids’ high sodium levels were foods such as pizza, processed snacks and soups, sandwiches, and sodium-heavy breads. Dinner accounted for 39% of kids’ daily salt intake and lunch for 31%. Approximately 15% of kids’ salt intake came from breakfast and snacks. Researchers say this finding could highlight the need for parents to monitor -- and potentially reduce -- their kids’ salt intake. 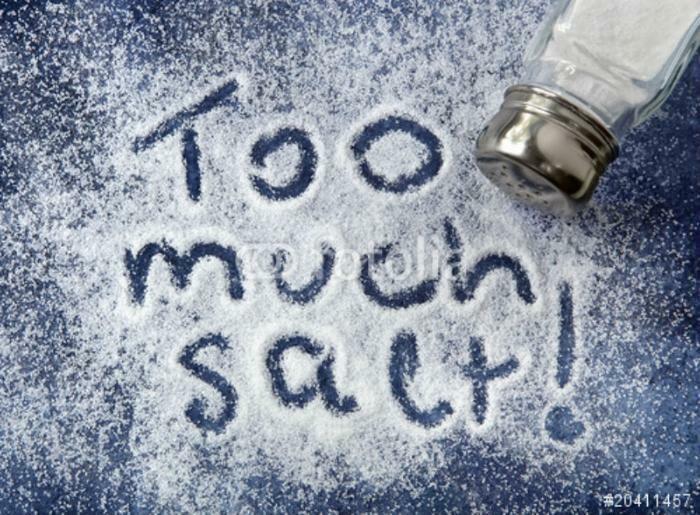 “We already know that nearly all Americans regardless of age, race, and gender consume more sodium than is recommended for a healthy diet and the excess intake is of great concern among particular youths,” said lead author Zerleen S. Quader, MPH, a data analyst with the Centers for Disease Control and Prevention (CDC) Division for Heart Disease and Stroke Prevention. The study found that kids typically consumed 3,256 milligrams (mg) of salt per day, not including salt added at the table. Kids should only consume between 1,900 mg to 2,300 mg a day (depending on their age), the researchers note. Excess salt has been shown to increase blood pressure in some individuals. High blood pressure may increase the risk of developing cardiovascular disease later in life. To prevent such health problems from setting in, parents can take steps to reduce the amount of salt in children’s diets. Families can reduce sodium intake by checking the Nutrition Facts panel on food packages, says Quadar. Foods with less than 140 mg per serving are considered low-sodium foods. Quadar and her colleagues also recommend seeking out no-salt or lower-sodium versions of food and feeding children a diet rich in fruits and vegetables. While at restaurants, parents can ask to take a look at nutritional information in order to choose healthier options.